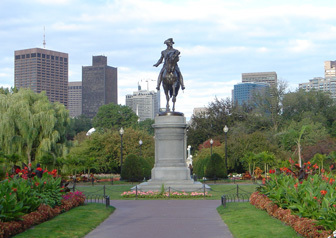 Our Boston, Massachusetts Auto Accident Lawyers Can Help You With Your Massachusetts Personal Injury Claim. Contact Our Expert Massachusetts Motor Vehicle Accident Attorneys Now at 617-787-3700. We Are A Team Of Expert Boston Car Accident Lawyers With Experience In All Types of Massachusetts Auto Accident Claims. The Boston motor vehicle accident Law Offices of Gilbert R. Hoy, Jr. and Affiliates has successfully handled thousands of Massachusetts auto accident claims for persons that have been injured or killed in Massachusetts automobile accidents. If you or your loved one was injured or killed in a Massachusetts car accident, you should call our Massachusetts motor vehicle accident attorneys or Boston car accident wrongful death lawyers right away. This is because in Massachusetts, there is a Statute of Limitations which imposes a time limit on when a person can file a Massachusetts lawsuit for injuries resulting from a Massachusetts car accident. 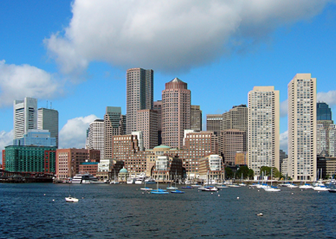 Call Our Boston, Massachusetts Auto Accident Lawyers Today At 617-787-3700 or Email Us at info@gilhoylaw.com. 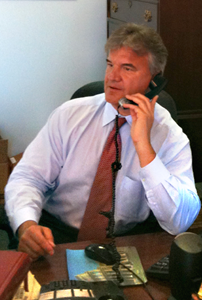 Our Massachusetts Motor Vehicle Accident Attorneys Can Be Reached 24/7 at 617-787-3700. 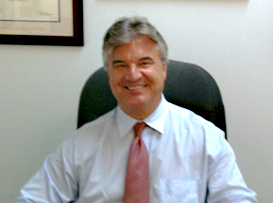 Whether your Massachusetts car accident was a single car accident, a multi–car pileup, or a head–on collision, the smartest thing you can do to protect your rights and obtain maximum compensation is to call an experienced Boston car accident lawyer at the Law Offices of Gilbert R. Hoy, Jr. and Affiliates. Our Boston motor vehicle accident attorneys will handle everything for you. Get you money for your pain and suffering. Get your Massachusetts lost wages paid. Get your Massachusetts medical bills paid. Get your spouse compensation for your serious injuries. 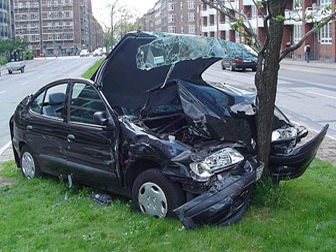 Choose Our Boston Auto Accident Lawyers to Represent You in Your Massachusetts Car Accident Injury Claim. Your Needs Are Our Top Priority! 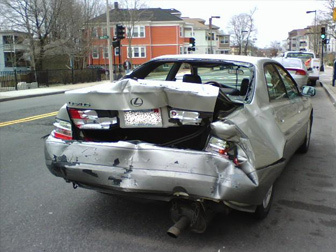 Our Expert Boston Auto Accident Lawyers Are Here To Support You. If you have been hurt in a Massachusetts auto accident, you are likely experiencing significant pain and suffering as a result of your Massachusetts car accident injuries. You may also be experiencing the problem of trying to pay your hospital bills. If you are unable to work at your job, you are probably rightfully worried about coming up with the funds for your living expenses. You may also be unsure about how you can receive compensation for your injuries, your medical bills, your lost wages and your pain and suffering. You can rest assured. In your time of need, the Boston, MA Law Offices of Gilbert R. Hoy, Jr. and Affiliates is here to assist you in all aspects of your Massachusetts personal injury claim. Our Massachusetts auto accident trial lawyers will relieve the pressures of mounting paperwork, help you get your medical bills and lost wages paid, and make sure that justice is obtained for you. The Boston, MA car accident attorneys at the Massachusetts auto accident litigation Law Offices of Gilbert R. Hoy, Jr. and Affiliates are highly skilled, seasoned and very experienced at handling each and every type of Massachusetts motor vehicle accident claim and case. Our Boston, MA auto accident injury attorneys are qualified and fully equipped to handle complex Massachusetts automobile accident cases from the insurance claims level through Massachusetts trial and appeal. From the more serious Massachusetts auto accidents, involving life-threatening and long lasting injuries, to lesser, but still serious claims resulting in neck, back or other soft-tissue discomfort and pain, our Boston, MA auto accident lawyers will help you recover fair compensation for the injuries you have suffered due to someone else’s negligent driving. Our Expert Boston Personal Injury Lawyers and Boston Auto Accident Wrongful Death Attorneys Will Manage All Aspects of Your Auto Accident Case. There are a number of steps that should be taken when you are involved in a Massachusetts car accident to ensure that you are fully and adequately compensated. Our Boston, MA auto accident attorneys will assist you in this process. These steps are applicable if you are a Massachusetts driver, a Massachusetts passenger in a car, or a Massachusetts pedestrian involved in a Massachusetts motor vehicle accident. First, it is critical that you write down the other driver’s insurance company information, license plate number, car make, car model and the personal information of the other driver(s), such as his or her name and address. Any specific information about the Massachusetts motor vehicle accident, such as the weather conditions, and the speed and direction of the other vehicle(s) up until the time of the Massachusetts accident, should also be recorded. Photographs of the Massachusetts car accident and any resulting visible injuries should be taken. The injured party should seek immediate medical attention and keep a log of hospital visits. Our highly skilled Boston car accident lawyers are experts in helping you navigate through these steps. In order for our Boston auto accident attorneys to make a successful claim for your injuries, it must be shown that the other driver was at fault for the accident, meaning that he or she acted negligently. Negligence is defined as the failure to use reasonable care while operating a Massachusetts motor vehicle. Oftentimes, a negligent Massachusetts driver will fail to obey traffic signals, will drive in excess of the speed limit, or will drive under the influence of drugs or alcohol. 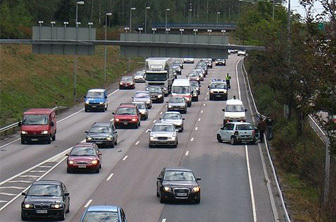 Our Massachusetts motor vehicle accident lawyers are very skilled at proving the negligence of the other driver. Unsuitable road conditions and inadequate lighting that result in a Massachusetts car accident also can be the basis of a claim for damages against the road designers. A Massachusetts road builder can be liable in the event of a Massachusetts car accident if he or she fails to keep the roadway safe during construction. A Massachusetts resident who is injured in a Massachusetts car accident may need treatment ranging from physical therapy to surgery. Massachusetts is a no-fault state with regard to car accidents, which means that an injured Massachusetts car accident victim will have his or her medical bills paid regardless of whether or not that individual caused the accident. Most often, the Personal Injury Protection (PIP) insurance carrier of the car you were in as a driver or passenger, or the car you were hit by if you were a pedestrian, will pay the first $2,000.00 in reasonable and necessary medical bills and hospital bills. An individual who does not have private health insurance or whose health care insurance company will not pay the medical bills may be entitled to up to $8,000.00 in medical coverage under the PIP insurance. Our Boston, Massachusetts motor vehicle accident attorneys work diligently to get all of our client’s medical bills paid. The Massachusetts insurance company that pays the medical bills of the injured Massachusetts car accident victim is also required to pay any lost wages that the individual suffered as a result of the accident and his or her subsequent inability to work. Typically, the injured Massachusetts driver is compensated 75% of lost wages under PIP, based on his or her average weekly wage, up to $8,000.00. If the Massachusetts motor vehicle accident resulted in permanent injuries, compensation can be sought for lost earning capacity. Compensation can also be sought for any resulting permanent or partial disability, pain and suffering, and scarring and disfigurement. In a case where the negligent driver does not have insurance coverage, or the insurance coverage is inadequate to fully compensate a victim for his or her injuries, there may be recovery under what is known as Massachusetts uninsured or Massachusetts underinsured coverage. Our Boston auto accident litigators have represented thousands of Massachusetts automobile injury victims involved in serious car accidents in Boston and throughout the Commonwealth of Massachusetts. Our team of Boston, MA auto accident attorneys will work diligently and non-stop until you receive full, just and fair compensation for all of your injuries. The last thing you need when you have sustained injuries from a traumatic Massachusetts motor vehicle accident is to deal with the myriad of issues involved in pursuing a Massachusetts car accident claim. Our experienced team of veteran Boston, MA motor vehicle accident lawyers and Boston wrongful death attorneys will take care of all the paperwork, documentation and evidence that you need in order to build the strongest Massachusetts case possible for you to win the most compensation that you can receive. You are not alone with respect to your injuries. Let our expert, highly skilled Boston, Massachusetts motor vehicle accident lawyers work closely with you to ensure that your medical bills are paid while you focus on recovering from your injuries. Our Boston injury attorneys and Massachusetts wrongful death lawyers are fully equipped to handle your Massachusetts case from start to finish. Massachusetts law limits the time in which you can file a Massachusetts auto accident lawsuit, so call our Boston injury lawyers or Boston wrongful death attorneys as soon as possible at (617) 787-3700 or email us at info@gilhoylaw.com. Let us put our knowledge and expertise to work for you or your loved one! Our Massachusetts car accident personal injury lawyers and Boston auto accident attorneys are proud to represent Massachusetts auto accident personal injury clients from throughout the Commonwealth. 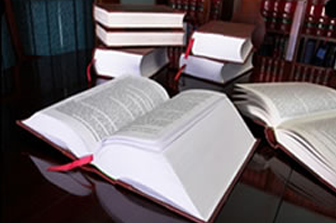 The mission of our Boston, Massachusetts car accident law firm is two-fold. Our Boston auto accident lawyers work incredibly hard to provide outstanding legal representation for every one of our Massachusetts motor vehicle accident clients. As a result of our Boston auto accident attorneys’ extensive legal knowledge, tenacity, determination and wide range of expertise and skill regarding Massachusetts motor vehicle accidents, our Massachusetts car accident attorneys have an outstanding track record of success and accomplishment for our personal injury clients. 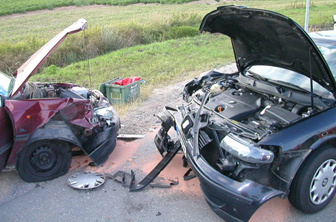 Our car accident attorneys will simply not settle for second best. 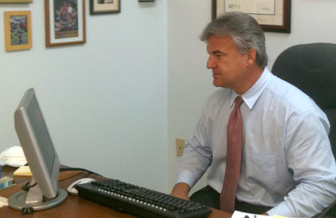 Second, our expert Boston car accident legal advocates always provide our clients with exceptional client service. 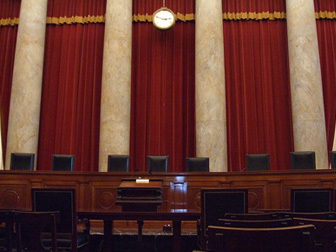 This is as important to us as the outcome of your car accident case. Our Boston, MA car accident law office keeps every client fully informed of the progress of his or her car accident case. As part of this commitment, all of our car accident clients are copied on all correspondence from us, and we make it a priority to promptly respond to all phone calls and other inquiries from our clients. 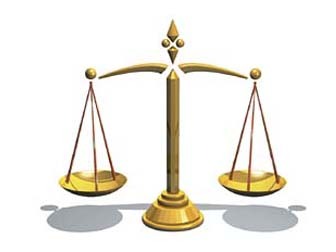 Our level of client service truly distinguishes us from other Massachusetts car accident law firms. The car accident attorneys at our car accident law office never act on behalf of a client without first thoroughly discussing the matter at hand with our client and jointly coming to a decision beforehand. Our car accident law office endeavors to represent each of our clients in such a manner that ensures that our clients receive the individualized, detailed attention that their unique car crash case deserves. Our Boston, Massachusetts Auto Accident Lawyers Are Available 24/7. Please Call Our Massachusetts Motor Vehicle Accident Attorneys Now at 617-787-3700. Your Needs Are Our Top Priority!